Sorry for the delay in the time of this post but as some of you already know this past week was an emotional roller coaster. I sat with Brad's great aunt Shirley from Sunday to her death on Thursday. We had a birth in the family the same day of the passing. We had a baby shower and a wedding on Saturday, followed by a funeral on Sunday. While the week was bitter sweet, we have taken much time counting our blessings for those memories spent with Shirley, our new blessing which is a boy - Jackson Cole Davis, and also a new sister in law, Kristen. This morning I went into my kitchen and noticed several dozen red roses from Shirley's funeral. We had an entire casket spray made in her favorite flower - red roses. Each time I see one now I will think of her. Although she didn't have children of her own, she always treated me as I was her own grand child. She was such a blessing in our family. One thing about her is that she was always positive. No matter what - she was always in a good mood. Always had a smile on her face. Always had a joke about something. Even when she got to where she could not walk on her own or remember to take her medicine. It makes you realize that life isn't as bad as we like to believe. Some of life’s blessings are obvious. Instantly you feel gratefully blessed. 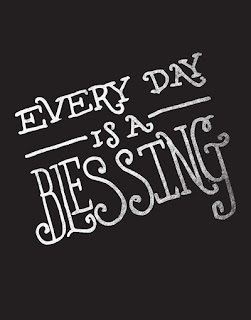 There are many others that, although may not feel like blessings at the time, that eventually bring great value to your life. It may seem strange to be thankful when difficulties come your way. Those difficulties and your response to them can end up making you a much stronger person. It’s easy to be thankful when life is going great, though our gratitude can be even more powerful and appropriate when things are not going so well. Gratitude is an essential part of causing life’s goodness to come your way. By being thankful, you create even more and better things for which to be thankful for. 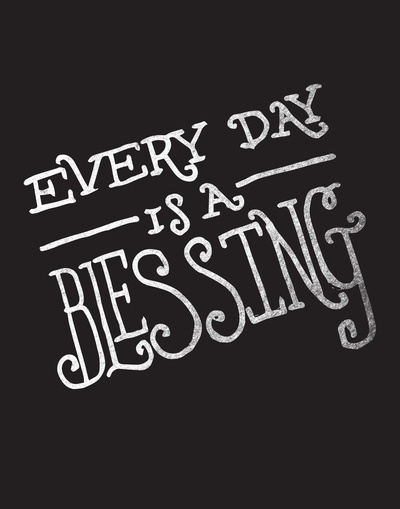 Every day is a blessing, whether it seems like it at the time or not. Be truly thankful and do not take for granted those special people in your life for you do not know what tomorrow might bring. I'm so sorry for your loss. I admire that you can look on the bright side of life, and stay positive even during the tough times. You're truly inspirational. Awe I am so very sorry for your loss :( Please know that you and your family will be in my thoughts and prayers! So sorry for the loss! I am so sorry for your loss. It's great that you were able to stay with her until her passing, I can image it meant a lot to her. I am awed that you are always so positive, that is such a wonderful trait.